It is our intention to get the most value for our school from the Primary P.E. & Sport Premium funding. Please click link to view Ashton Keynes Primary PE Primary Reporting 2017-18. Sports Coach– We have provided an experienced sports coach for Classes R-6 offering up to 2 hour weekly sessions. Sports Week– We organise our annual Sports Week which engages lots of sports organisations from the local community. We offered a range of sports including: archery, table tennis, martial arts, a smoothie bike, tennis, golf, cricket, Zumba, football, orienteering, a visiting Gold Commonwealth Games Judo sportsperson, Meggen Fletcher, to inspire the children and cheerleading with Kingshill sports leaders. We ended with a wholly inclusive sports morning for the whole community. We used sports funding to provide a range of diverse sports to engage all pupils and inspire them to continue with these sports outside school. assembly. Impact: Children enjoyed trying different sports to show how diverse sport is, some have continued to take up these sports in the community clubs outside school, learnt about healthy eating and lifestyles. We set up an archery club at school for classes 5 & 6 as a result of the week which was oversubscribed and included a second advanced archery group. Competition-We have entered many local sports competitions as part of a variety of clusters and secondary school transition programmes. We use sports funding to pay annually to be part of the cluster schools and Secondary schools competitions. Impact: Our website shows many of the competitions our school has been involved in, see sports newsletters. 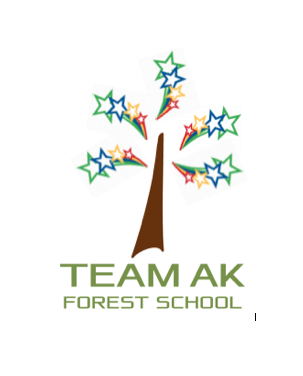 We are competing in more competitions and having greater success as a school including Gold, Silver and Bronze placings regularly with excellent team work and competitive/sporting attitude which we receive positive feedback about. We have had success at both district and area sports level. Impact: Children experiencing healthy competition and striving to be even better, reaching for the stars in sports. Children taking a pride in representing their school, competing and trying their best. Some children are competing outside school at a very high level e.g. within local and national football, gymnastic, horse riding/show jumping and athletic teams. Zumba- We have funded 6 sessions of Zumba for kids, one each term for each class, staff and Governors to encourage fitness and participating. Impact: Children say they really enjoy the session, they are observed participating with smiles on their faces and say they LOVE Zumba! REAL PE- We used money towards the REAL PE scheme to further develop challenge in PE/sports lessons Impact: Children are observed to be really enjoying the sessions and rising to the challenge which the star challenge provides within the sessions. KS1 pupils enjoy the story based approach. The development of skills can be seen impacting on the quality of team sports as pupils progress up the school. Provide sports coaching for Class R (EYFS FS2) and the whole school, to include teaching sessions for KS2 on sports Science, to develop understanding of PE and Games and the Science behind it. Teacher training in Gymnastics by attending a course and further REAL PE training. Opportunties for staff to team teach PE with the coach for CPD. Provide Zumba for the whole school 6 times a year. Working with local waterparks to provide water sports activities for pupils. Change the sport focus for sports week to ensure we keep the opportunities varied and diverse. Fencing workshops for KS2 pupils. Street dance classes for the whole school to develop team work of each class and perform to parents and carers whilst promoting dance for all through a local dance teacher. Provide an inspirational WOW visit from the world’s tallest basketball player: Paul Sturgess (Harlem Globetrotter and Britain’s tallest man). To include a day of basketball workshops for all classes. To work with our FOAKS team and local grants to provide an all-weather multi use games area (Smooga) to enable more children to be active at break and lunchtimes and sports to be played more frequently at play in a safe environment. To be used in games lessons too and by the Scout community group on our premises. To plan termly family sporting fun events on the Smooga to encourage community use. To further develop sports leadership- application, interview of sports captains and leaders with training and development time and leading daily sports challenges for all pupils at break and lunch, using the Smooga once built. Annual class Marathon challenge in the summer term. Pay an annual fee to local secondary schools to be part of local school competitive games, tournaments and competitions organised and coordinated by the secondary schools. This is to develop the range of competitive sports on offer e.g. tag rugby, football, netball, sports hall athletics, athletics. Through this we also access sports leader training to develop leaders in sport in years 5 & 6 where they operate to support others in sports week. As a result of this spend, a diverse range of sports will be offered to all pupils within our school, quality sports coaching will be given weekly to every class, more sports clubs are being set up including archery for beginners and advanced. Staff will be trained to deliver PE with clear challenge in the style of our star challenge. We will continue to reach for the stars and offer high quality sports teaching, opportunities, competition and encourage our pupils to be fit, active and healthy. Mr Tanner (Sports Coach), Mrs Saville (Headteacher) and Jon Hughes (Governor responsible for monitoring sports funding impact) work closely together throughout the year to monitor the spend and impact to find the best ways of using the funding to achieve the objectives set out for the money but also to provide the best opportunities for our children at AKPS. Ensuring all children engage in sport and fitness via the varied approach.